Two years older than McDonald. One year older than Santa. One year younger than Keane. Scored almost 150 goals in his career. Santa scored about 100 in roughly the same amount of time and games. Not half bad. A consistent goal scorer. Well well. Let's hope his age doesn't get in the way. Welcome, just give it your best shot is all we ask. And if you wouldn't mind a hat trick against against Smurfs would be nice. Welcome....Good to have some experience for the ACL,and take off some pressure off Santa. Someone said hat trick. He's doomed from the get go now. Lmao. at least we didn't sign one of his brain-dead brothers. hope he goes well for us. He's lacking in sack-whacking? Send him packing. Same, well second behind Shannon. I hope he does the 'shhhh' celebration when he scores. If he can find that goal poaching ability he had at the Jets, he will be handy. However just hope he still has his speed and fitness to match the league these days. 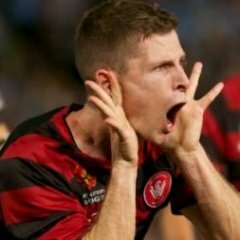 One of us one of us........welcome to the WSW! Was given a decent bit of coverage in last night's 'Shootout' with Dean Heffernan going over some sack whack memories lol. 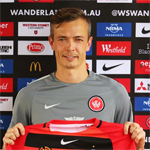 Heff, McBreen and Bozza were open to his signing helping the WSW cause. On board with that opinion meself. It ex players talking about their mate. They are never going to say he's not good enough so it's to be expected. He is not a long term fix for us but I am hopeful in the short term he will be good, I how he gets a good welcome when he plays at Spotless. We are all hoping Griffiths "does a McBreen"
Wonder what his brother (Joel) thinks? 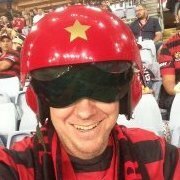 He is in the hierarchy at Newcastle Jets and i thought i heard football manager. he ain't much of a thinker. Did he try to get Ryan to the Jets? Honestly in his 5 minutes he showed more awareness than Bulut ever did. Interview on the Daily Football Show. From the interview .... Been here a week now and in terms of intensity at training, never experienced anything like this in my career. It's just great that there is such a commitment to working hard. I know it's not like this at any other a league club"